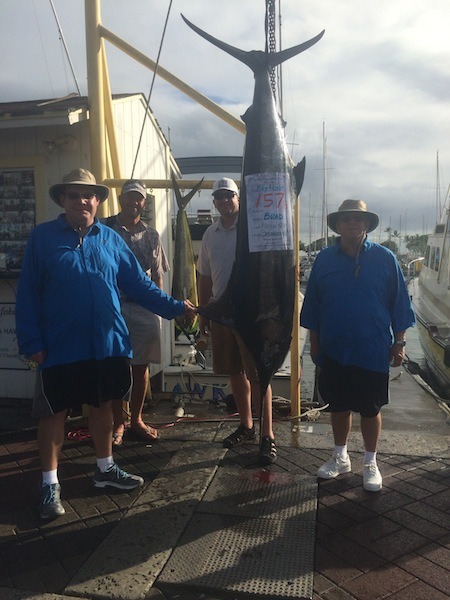 Brad caught this 157 lb Blue Marlin on the Sea Hawk. Great Job! 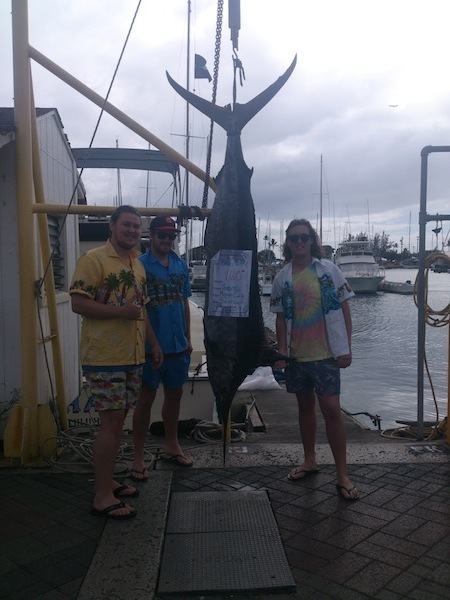 314lb Blue Marlin caught on the Maggie Joe! Ken with 35 lb Mahi Mahi! 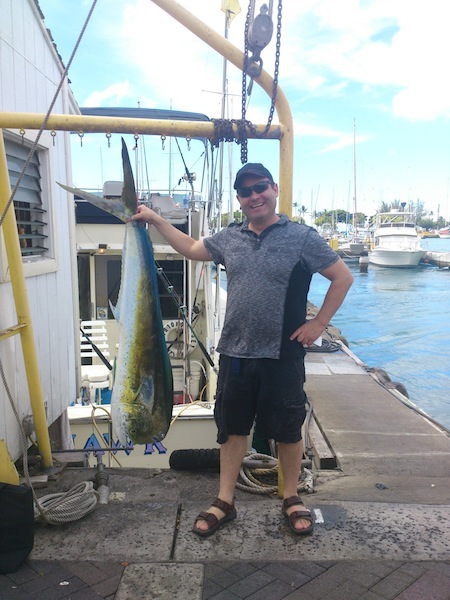 Ken caught this nice 35 lb bull Mahi Mahi while deep sea fishing aboard the Sea Hawk with Captain Morgan. Aloha! Geordy with 160 lb Blue Marlin! Congratulations to angler, Geordy! He caught this 160 lb Blue Marlin while deep sea fishing aboard the Sea Hawk with Captain Morgan. Aloha! Brian and Alejandro with their catch! Great job Brian and Alejandro! 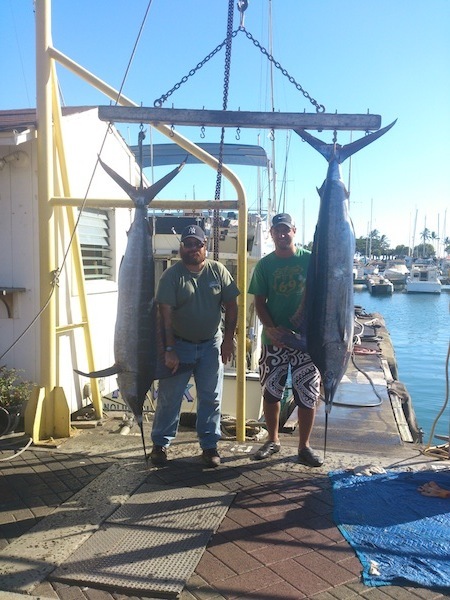 They hauled in a couple Marlin while deep sea fishing on the Sea Hawk with Captain Morgan. Aloha! Mary, Lou, Dan, and Ryan with their catch! 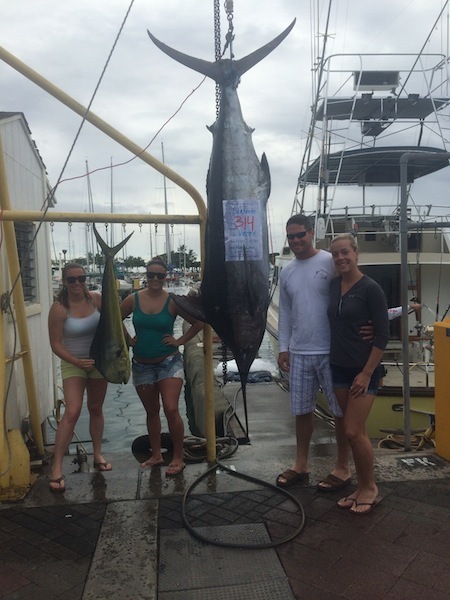 Big mahalo to Mary, Lou, Dan and Ryan for choosing Maggie Joe Sport Fishing! 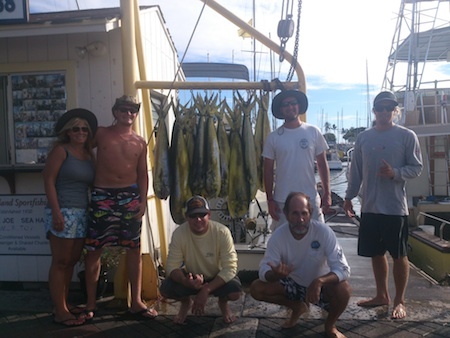 They spent the day fishing with Captain Mike aboard the Maggie Joe and hauled in a boatful of Mahi Mahi. Aloha! 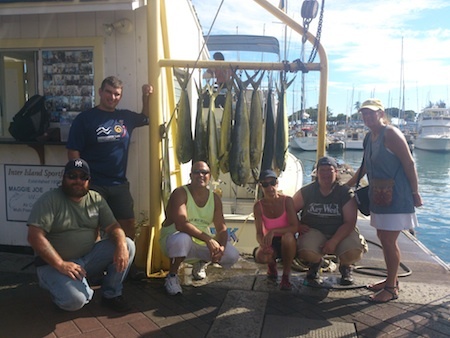 A boat load of Mahi Mahi caught on the Sea Hawk with Captain Morgan! Nice catch by Cheryl! 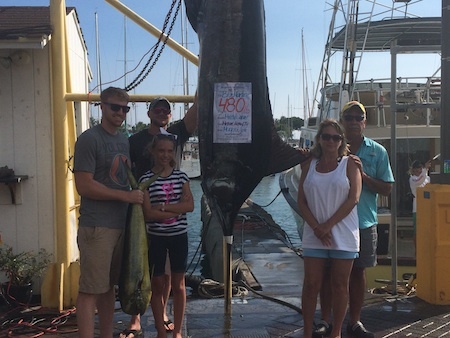 She hauled in this 480 lb Blue Marlin while deep sea fishing aboard the Maggie Joe with Captain Mike. Aloha!